Mother’s Day gifts are just as exciting for the little ones as they are for moms, especially when they make them themselves! There’s just something super special about homemade Mother’s Day gifts that nothing else can quite compare to. Children can’t wait for the moment for their mom to see that special DIY Mother’s Day gift that they created. Moms will cherish these special handmade Mother’s Day gifts for ages. Moms love gifts that tug at the heartstrings and even make us shed a few tears. Here are some of the sweetest DIY homemade Mother’s Day gift ideas. 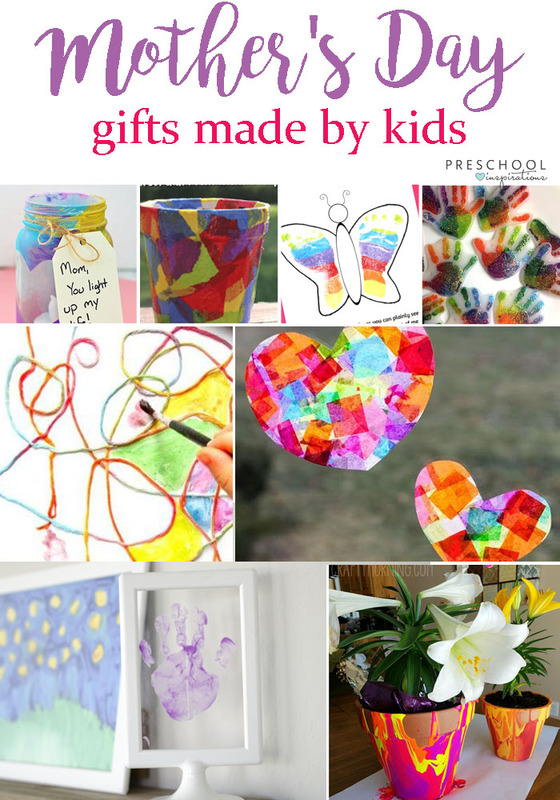 These Mother’s Day Gifts are all special, made with love, and fun for kids to create! 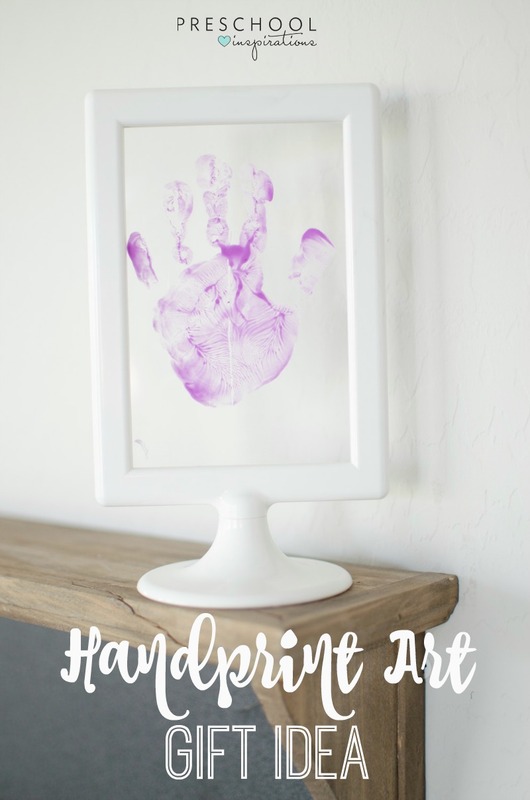 Our first idea of a super sweet homemade Mother’s Day gift is this Handprint Art Keepsake. Each Mother’s Day our children’s handprints get bigger and bigger. They don’t stay little forever and seeing a frame filled with our sweet little one’s handprint is as sweet as it comes! Plus, it is simple for kids to make, no matter how little they are! 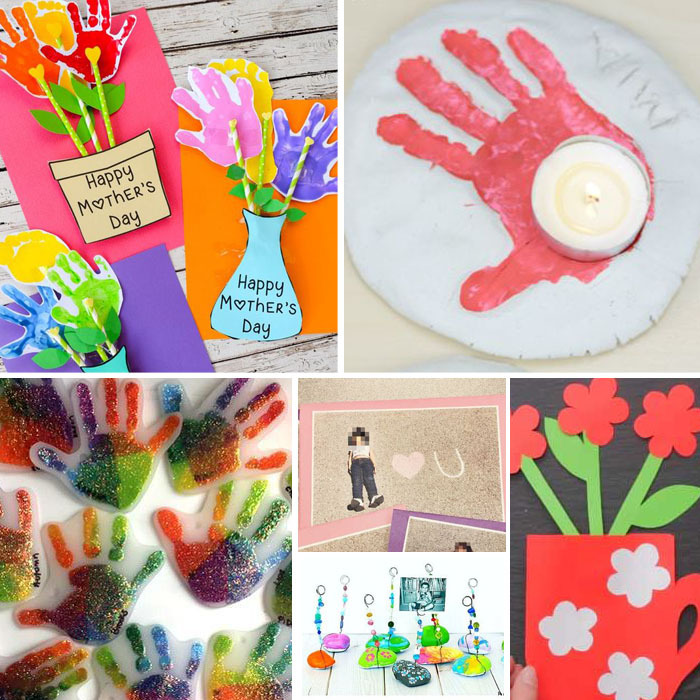 Homemade Mother’s Day crafts are a perfect way to capture a handprint or make a keepsake that moms will cherish for years to come. Some moms love to receive flowers, but they don’t last long. These super adorable handprint flowers are the perfect solution! Jewelry is a popular gift for moms, but handmade jewelry is the best kind! It’s such a special homemade Mother’s Day gift idea. These flower pots are an adorable way to give a sentimental thumbprint art project that’s also a practical planter. We all love handprint art, but it is even better when it can be carried with us everywhere! These will serve as a sweet daily reminder of a little one’s love. I appreciate gifts that I can display and see every day. This candle holder is simple, yet so beautiful at the same time! Displaying pictures is one of a mom’s best ways to cherish their little one’s creativity, and to celebrate their growth! These photo holders make going down memory lane even sweeter. This coffee cup flower pot is perfect for any coffee lover on Mother’s Day. Scroll down to number three for instructions on how to capture this personalized “I <3 you picture and turn it into a card. Any mother is guaranteed to never forget this one! Functional gifts are always a great idea but personalized ones are even better! Not only would it be super easy for kids to make this cute tote bag, but it’s a great way for moms to carry their kids with them always. Art and process art make some of the best homemade Mother’s Day gift ideas! My favorite gift is something beautiful that I know was made by my own child and reflects them. These adorable magnets are not only sweet and super personal, as they’re made with a child’s fingerprints, but are functional too! Moms will love to have these on their fridge or family station. I absolutely love getting art home from my kids. This process art project is sure to be cherished! It’s a perfect Mother’s Day homemade gift. I really like how these jar votives can easily be made with a child’s full creative control. This could be used to hold a candle, change, or other small objects, or leave it just as it is! Another amazing process art activity that kids are sure to love! The finished product is super unique and wonderful. There’s just something irresistible about sun catchers! This is a great process art idea that kids will enjoy making and moms will love in any room! Another easy process art project that would make a beautiful gift for Mother’s Day. Moms and their little ones can plant some seeds in it together after it’s opened! Mother’s Day poems are a perfect homemade Mother’s day card idea from kids. Cue the hugs and tissues! 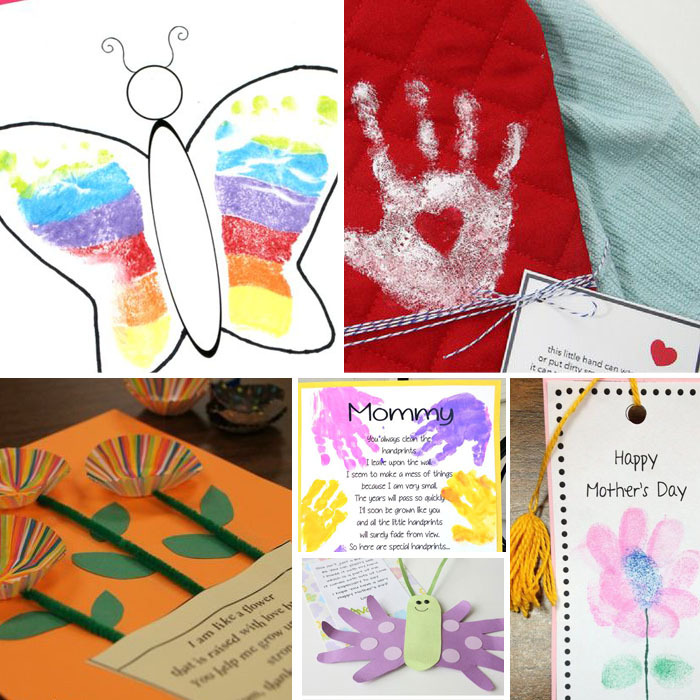 Butterflies are so perfect for a Mother’s Day card filled with sweet words to mom from a special child! This poem craft uses a child’s footprints to fill in a butterfly outline, and the accompanying poem couldn’t be any sweeter! Cue the tears! “You always clean the handprints I leave upon the wall… the years will pass so quickly, I’ll soon be grown like you, and all the little handprints will surely fade from view.” So sweet! A bookmark with fingerprint flowers that is sure to be cherished for years to come! 3D flowers and a cute poem equals the perfect card. This oven mitt and poem is a perfect gift for any mother, regardless of how much time they spend in the kitchen! It’s sure to be a mainstay in any kitchen. 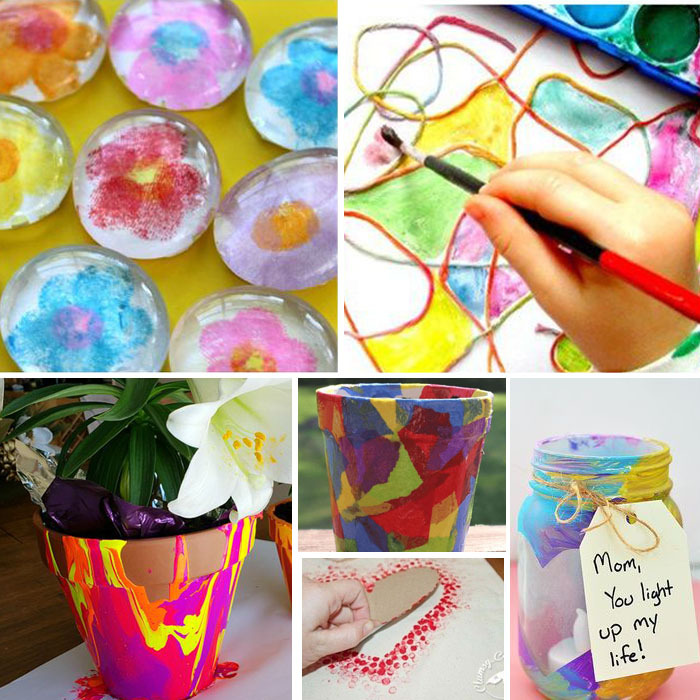 We hope you and your little learners love making these sweet and fun homemade Mother’s Day gifts this year!